Posture Pian Persoanl Trainer London have Great osture pain Free! Why is posture so important when it comes to exercise? When it comes to fitness and lifestyle our body is looking from the inside out. We all need good posture when we sit in our offices for 12 hours a day and anything we do with bad posture results in pain in our neck, back, and knees. 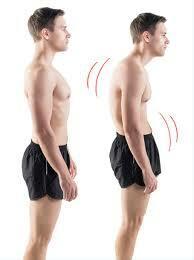 When our posture is good there is no pain and we can move much more easily. In fitness and weight training, the better our posture is, the less load there is on joints in our body. If our posture is bad when we are exercising, we are putting too big a load on our joints. Over time this can cause us pain. So when sitting or exercising you need to make sure your posture is good to prevent orthopedic injury. If you have a faulty motor engram in your brain, it can take up to 3000-5000 repetitions to change it. So when you are training, if your personal trainer is not watching to ensure that you do your exercises with the best form, he is setting you up for injury.pain and stress and Visit the surgeon. Your London personal trainer should start by assessing your posture in the gym, during your workout. 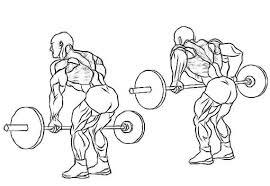 To ensure that you improve your posture, flexibility and muscle balance bent over row is a good exercise as is a prone cobra, if executed correctly. As a CHEK Practitioner level 4, I do a 4hour assessment of your posture, movement, and diet & lifestyle. Ordinary personal trainers do not carry out this deep assessment because. personal trainer course only gives the basics. because to lean all how our body’s work would take 6 years of study to learn.i have been helping clients with bad posture for over 18 years now with my deep study and working with many clients over the years posture is number for pain-free exercise. and sports performance. Contact Scott now for more information live chat now!